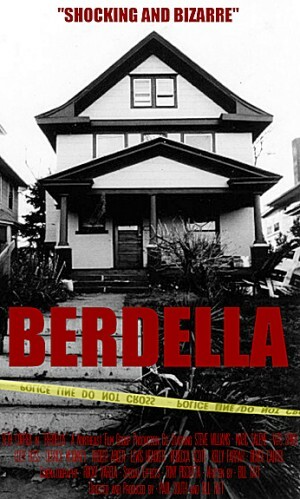 Update July 2010: Berdella is now available on DVD directly from http://www.bobberdella.com - do check it out! You are currently working on Berdella, a film on Kansas City serial killer Bob Berdella. First of all, what can you tell us about the man? He was a very unique individual, he in many ways lived a double life. He was a friendly yet peculiar man who ran a booth at the Westport Flea Market, called Bob's Bazaar Bizarre. Westport is the counter-cultural headquarters of Kansas City. Bob was a post 60's hippie who came to KC in 1969 to attend the art institute. Online and in print not a lot is known about Bob Berdella, but there are endless amounts of stories about Bob handed down via word of mouth over the years. He was a cook, wrote restaurant reviews, mentored troubled youths, worked in setting up the Hyde Park Neighborhood Coalition, etc. A question closely related: What can you tell us about the film, and does it differ much from actual events? The film sticks a great deal to the actual story but not a lot is known about the man in between his killings as he would often go a year between each killing, except for 1985. Actual dialogue spoken by Berdella to his victims has been used throughout the movie. In addition many word of mouth stories have been included to tell the tale of this man named Bob. Where does your fascination with Bob Berdella come from, and how much research did you put into the project? Our film group grew up in a neighborhood about 10 minutes from where these horrible acts took place, it happened when we were children so we had no knowledge of the incidents. I first read about it when I was 16 and was hooked ever since, I was shocked at how no one had made a film about this man yet. A few years ago a documentary was made about Bob, but our feature is a narrative and is nothing like this other movie. A few words about your main cast? The main cast was very unique and diverse. Our main actor Seth Correa really became Bob Berdella. At times it was chilling to see and hear his likeness. Interestingly engough we had amazing chemistry between actors Seth Correa and Vito Spino - their scenes together really enhanced the film. When it came to killing and dismembering, Bob Berdella was rather violent. How explicit are you going to be in your movie? The film gets worse with the duration of the movie, we'll leave that up to the viewers to judge, but beware the film is not for the squeamish. We do try out hardest to be realistic, not being overly gory or violent, realism is the key. 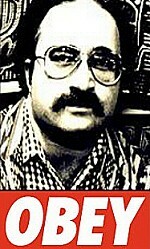 Berdella was active between 1984 and 1987. How much effort did you put into recreating that period of time, and how hard is it to independently produce what's essentially a period piece? It was a lot of work, we were lucky in respect to locations we had. The house we filmed in is roughly a hundred years old or so it fits the time period, we filmed at an abandoned hotel in Excelsior Springs, Missouri where Al Capone had a suite in the 20's. We put a lot of work into making sure we only had 80's or older props and costumes. Bob has a lot of interesting period costumes. The most difficult thing was getting 80's vehicles. We managed to film a hearse, a car, and a truck. Bob Berdella claimed that the film version of John Fowles' novel The Collector (1965, William Wyler) was one of his influences. Did you use that movie as a template at all? Not at all, our film is based off the history of Bob Berdella as told in newspapers, testimonies, and from first hand accounts by people who interacted with Berdella over the years. Films about real-life serialkillers have become a subgenre all of their own especially in recent years. Do you see your film in the tradition of that subgenre or do you try to go your own way? Since Bob Berdella is a serial killer we would be classified as in that subgenre. But our film is not your steroptypical serial killer genre style movie. Any major influences on Berdella? Italian horror films, Al Pacino in Cruising, Henry: Portrait of a Serial Killer. There are a few in the works...don't want to reveal anything yet. Some directors who have really influenced you? I really enjoy foreign cinema. Dario Argento, Lucio Fulci [Lucio Fulci bio - click here], Sergio Martino, Ruggero Deodato [Ruggero Deodato bio - click here], Sergio Leone... many of the great Italian film directors. We try to capture that style of film in our feature in terms of camera angles, zooms, etc. Your favourite films, both recent and all-time? Too many to name off, but I enjoy Tom Savini's Night 90, the original Dawn of the Dead, TCM, The Beyond, I just watched Mannaja: A Man Called Blade and really liked that. Anything from Mean Streets to Planet Terror I enjoy. By the way, Africa Addio is the greatest piece of film work ever. ... and some films you really deplored? Snoop Dogg's Hood of Horror.